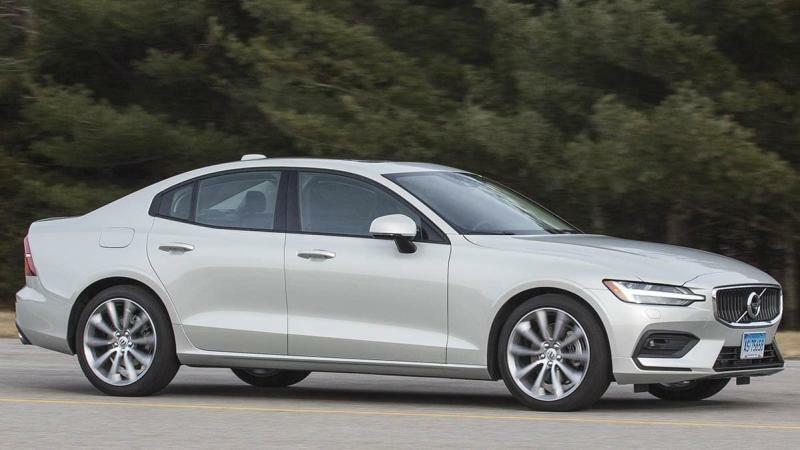 The 2019 Volvo S60 is a stylish compact luxury sedan that’s new from the ground up. In fact, it’s an entirely different car than the outgoing model. We like the power the S60 provides, as well as the low-key but stylish interior, but we're initially put off by its difficult-to-use controls. The jury remains out on a few issues, including fuel economy. 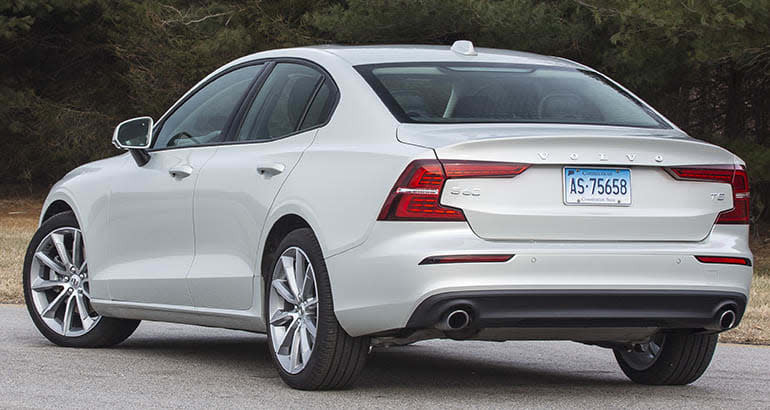 The S60 competes against some impressive sedans, such as the Audi A4. Other challengers include the Genesis G70, Infiniti Q50, Jaguar XE, Lincoln MKZ, and Mercedes-Benz C-Class. Most of those sedans focus on either sportiness or comfort, but Volvo seems to be trying to split the difference with the S60. Volvo's newest car shares its powertrain and underpinnings with the rest of the automaker's lineup, and a wagon version—badged as a V60—is coming soon. We recently purchased our own S60 so that we could put it through CR’s testing regimen. After a few weeks with the car, these are our first impressions. Like all other Volvos, the S60 has standard front-wheel drive. All-wheel drive is optional—but it’s currently available only if buyers upgrade to the T6 model, which also includes a more powerful 316-hp turbocharged and supercharged four-cylinder engine. The base engine in our car had plenty of power on tap for around-town drives and merging onto the highway. The 2019 Volvo S60 is at least 6 inches wider than most of its competitors, and it has a graceful and athletic appearance. 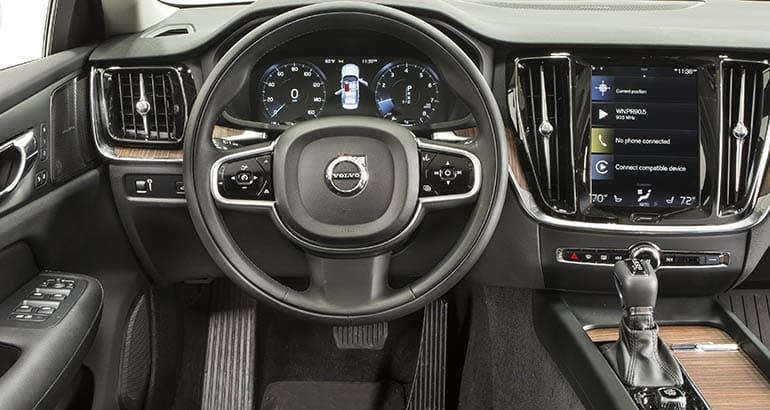 The focus on style continues inside the car, although Volvo’s minimalist interior design continues to be a source of debate among our testers—some find the S60’s dashboard to be too spartan, but most say they appreciate its clean lines and simplicity. Those who remember the utilitarian Volvos of the not-so-distant past may find it ironic that modern models use their looks as a selling point today. The driving position lets drivers get a good view of the road, and we like that our car has a traditional shift lever that doesn’t require the driver to relearn the basic task of putting a car into Drive or Park. There’s lots of room in the deep trunk and plenty of cubbies in the center console, too. Wind, road, and engine noise are barely noticeable, and our test car’s optional Harman Kardon audio system sounds so good that one of our testers ditched his usual diet of NPR and podcasts just so he could listen to his favorite music on it. The S60’s handling and steering feel are tuned more for comfort than agility, but its relaxed handling makes for an odd mix with its rather stiff suspension and ride. By far the biggest complaint about the new S60 is one shared with all new Volvos: the Sensus infotainment system. It’s the driver’s interface to handle everything from climate control to the radio, and it’s overly complex. Even a simple task such as adjusting the temperature keeps a driver’s eyes off the road for longer than we feel is wise. Complex menus are hidden on different pages, and they require as much swiping left and right as a dating app. Although voice recognition promises to “learn” the driver’s voice for hands-free control, it had difficulty understanding those of us at Consumer Reports who have tried it so far. Android Auto and Apple CarPlay come standard and include their own well-established voice assistants, but they can’t change the temperature. Controls don’t get any better outside the car—the tiny buttons on Volvo’s slim key fob are hard to decipher or even press. Thankfully, each one of the doors comes with its own lock/unlock button. Despite the S60's high price, some interior materials feel noticeably cheap, including the hard armrest and the flimsy plastic panels on the backs of the front seats that may not hold up to hard kicks from your kids. Automatic emergency braking and other advanced safety systems come standard, but blind spot warning (BSW) was a pricey extra on our base Momentum model; we had to buy the $2,050 Premium Package to get it. The BSW tended to be overcautious, giving us the same warning when a car was nearby in an adjacent lane as when we were in potential peril. Volvo’s choice to tie safety features up in a pricey option package is an example of how the S60 can nickel-and-dime buyers with extras. That’s a common pricing strategy in the luxury segment, and we spent more than $10,000 over the base price to equip our Volvo the way we wanted it. The S60 is a unique size—longer than a BMW 3 Series but shorter than a Lexus ES. As a result, the seats are easy to access, but the rear can feel a bit tight for adults, and there’s not a lot of room for feet underneath the front seats. Most of our testers found the driver’s seat exceptionally comfortable for long rides, but some said it was too firm and bemoaned the lack of four-way adjustable lumbar support, which is common in this segment. We’ll come to a consensus after more of our testers spend time in the car. We ordered our S60 with the $2,500 Advanced Package so that we could test Pilot Assist, Volvo’s version of a partially automated driving system that can keep the car centered in its lane and control its speed so that the car remains a set distance in traffic from vehicles in front. Pilot Assist currently sits at the bottom of our rankings of these systems, and we plan to test it on the S60 to see whether anything has changed. So far, we’ve averaged about 25 mpg in a mix of highway and city driving—closer to the Volvo’s EPA rating of 24 mpg in the city than its promise of 36 mpg highway or 28 mpg combined. We will put the S60 through our own fuel economy tests to find out just how efficient it is in real-world driving.